Back in mid-December Volvo leaked out a couple of teaser images of its Concept XC Coupe, together with a few tidbits of information. 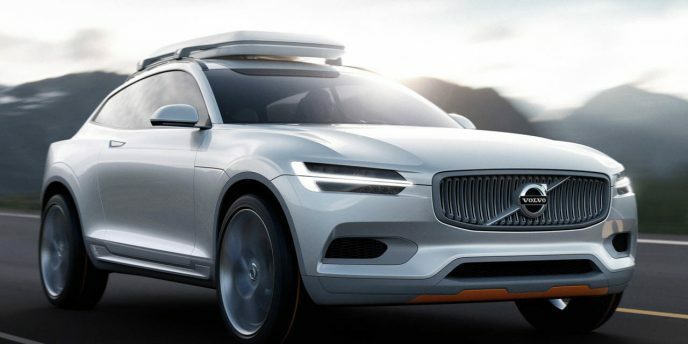 Now with the North American International Auto Show underway in Detroit the curtain has been lifted on the sporty-looking crossover, but Volvo isn't spilling the beans about whether the Concept might ever see production or what sort of powertrain it might use. Given that Volvo, which is owned by Chinese automaker Geely, has said that it will be shifting in the next few years to strictly electric power and four-cylinder engines, it's easy to imagine the Concept XC Coupe getting a turbocharged four-cylinder powerplant, allowing it to go head-to-head with the similarly-equipped Range Rover Evoque Coupe. I must say that I like what Hyundai has done with the Tucson. 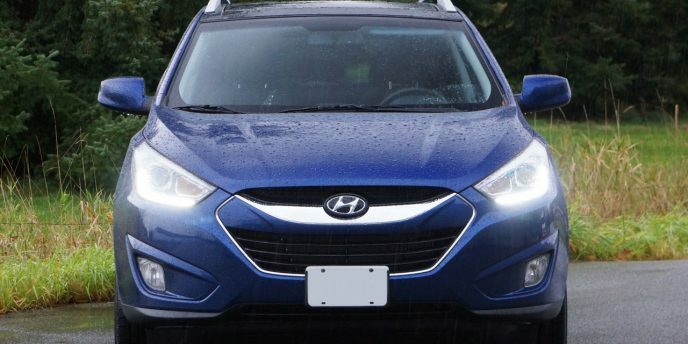 New for 2014, the South Korean brand's smallest SUV has undergone a mid-cycle upgrade that includes a slightly bolder hexagonal grille with chrome edges, LED-enhanced headlights, revised taillights that include LEDs in top trims, and some new detailing all around for a stronger overall appearance. 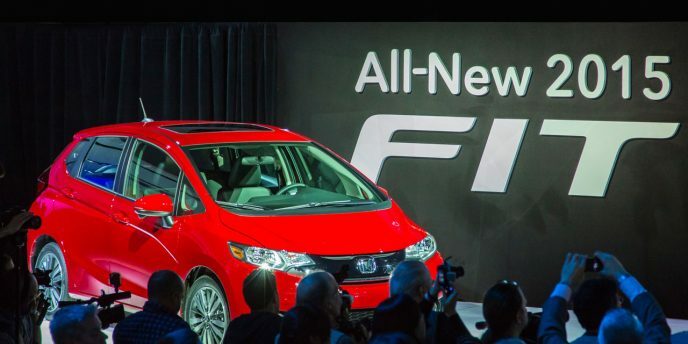 Honda's Fit may be small, but the Japanese automaker was determined not to let the all-new 2015 Fit get lost in the crowd of flashy concept cars and hulking aluminum-bodied pickup trucks at Detroit's North American International Auto Show. So for the North American debut of this versatile subcompact, Honda pulled out all the stops with a lively, dynamic introduction featuring beachgoers carrying surfboards, young parents with strollers, bohemian musicians carrying guitars, and all sorts of other representatives of the Fit's target market. Today's midsize sport utility vehicle comes in a variety of shapes and sizes, some sleek and sporty and others tall, boxy and utilitarian. There was a time that all SUVs were the latter, back when every single one was based on a body-on-frame truck-type chassis and designed to perform well off-road. Not anymore. 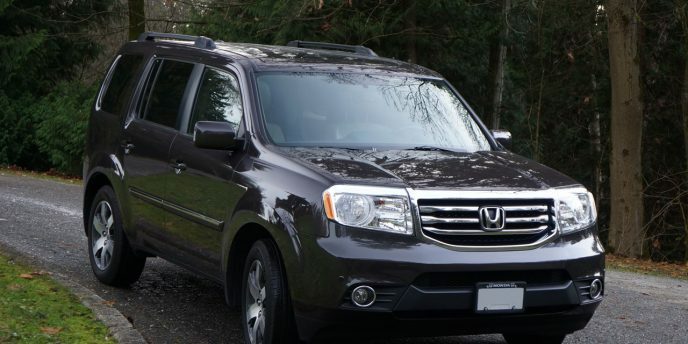 The Honda Pilot might look like a traditional sport utility vehicle, but its tall, boxy styling is just that, styling. Under the sheet metal it rides on a modified version of Honda's midsize car and minivan platform architecture, a unibody that's strong and tough enough to live up to 99 percent of SUV buyers' expectations, which include hauling family and life's gear over paved roads that are sometimes covered with snow, trekking across the occasional dirt road during summer vacation at which time a small trailer may be in tow, and doing it all in relative comfort without breaking the bank when it comes time to fill up the tank. First, Toyota launched the sporty rear-drive 86, which is marketed in North America as the Scion FR-S. Then it teamed up with BMW to develop high-end performance coupes. Now the Japanese automaker has debuted a pulse-quickening sports car concept at Detroit's North American International Auto Show. Clearly Toyota is serious about shaking its staid image as a builder of "bland cars that your parents drive." The unveiling was one of the few real surprises of the show, as Toyota had kept it under a tight veil of secrecy, with no teasers or leaks leading up to the big reveal. 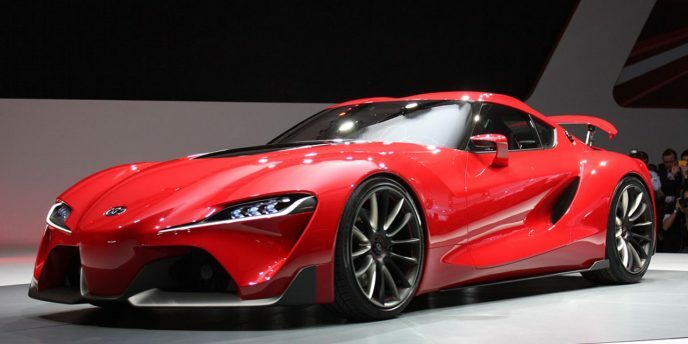 The concept, which was designed by Toyota's North American Calty Design Research group, hints at the possible direction a new Supra might take. Concept cars may grab all the attention at car shows, but the big news is the introduction of new bread-and-butter models. There's perhaps no segment that's as fundamental - and as hard-fought - as the mid-size family sedan market, and at this year's North American International Auto Show in Detroit, Chrysler officially unveiled its new mid-size 2015 Chrysler 200. Following in the footsteps of the smaller Doge Dart, and capitalizing on Chrysler's marriage to Fiat, the new 200 is built on the Compact U.S. Wide (CUS) platform, which is based on the well-received Alfa Romeo Compact Wide platform. 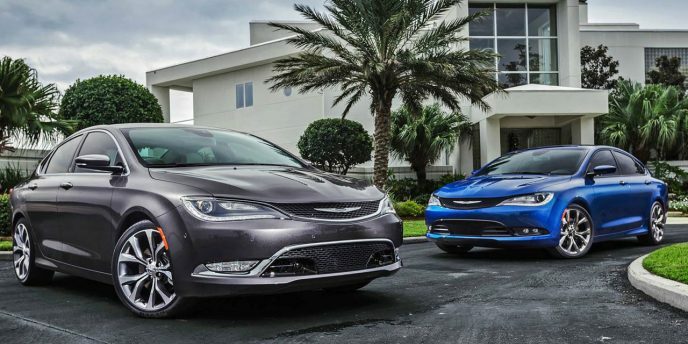 This move frees the 200 from its old Chrysler Sebring roots and promises to deliver what Chrysler calls "sporty European handling dynamics and steering precision, with ride and comfort characteristics tuned for North American roads." Mini has achieved great success spawning a wide variety of offspring from its original retro hatchback, including updated versions of the classic Mini station wagon (the Clubman) and panel van (the Clubvan), and even a four-wheel drive version (the Countryman). Now it looks like Volkswagen might be thinking of tearing a page from the Mini playbook, with an updated version of the once-popular aftermarket-built "dune buggy" set to debut at the North American International Auto Show in Detroit. 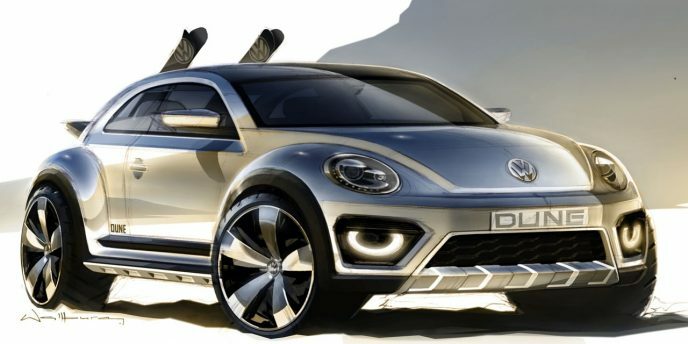 Volkswagen accompanied its announcement of the Beetle Dune concept with a single teaser image and a smattering of technical detail. The Dune Concept is based on the R-Line Beetle, with its body raised by five centimetres and oversized wheels fitted to provide increased ground clearance. Up front there's a beefy-looking bumper underguard, with matching underguards at the rocker panels. 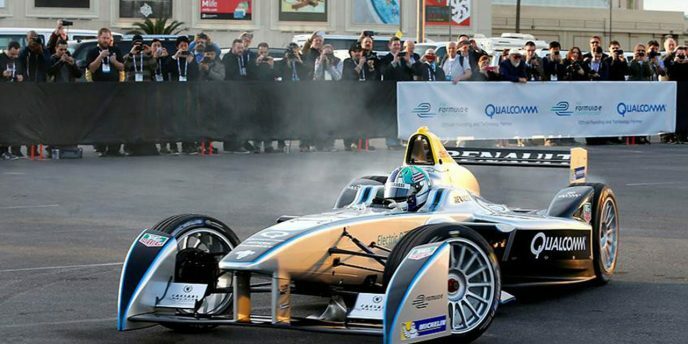 If you hadn't heard of Formula E before, well, you have now. And you'll likely be hearing a lot more about it in the months and years to come. The premise of Formula E is simple: it's a new fully-electric FIA championship that will compete on 10 city-centre circuits around the globe - including Miami and Los Angeles - beginning in September 2014. Ten teams, each with two drivers, will compete in the series, racing to capture the attention of a new generation of motorsport fans while pushing the development of electric vehicle technology and increasing its overall public acceptance.